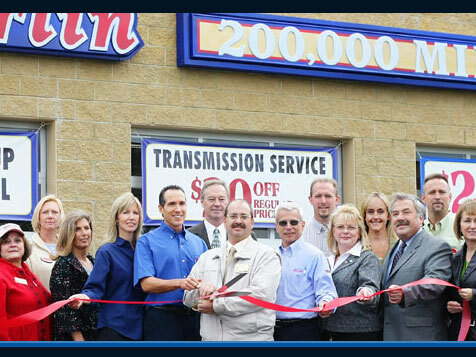 What does a Merlin 200,000 Mile Shops Franchise Cost? 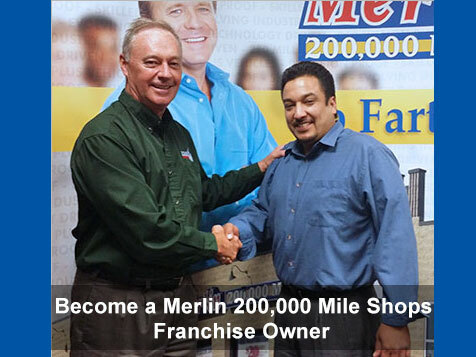 To own a Merlin the initial franchise fee for a single shop is $30,000. The Merlin equipment package costs approximately $150,000, and opening inventory amounts to $30,000. Start-up expenses and working capital will typically bring the initial investment to about $252,000. Up to 80%, or sometimes more, of the initial investment can usually be financed. In most cases, a qualified candidate will need a minimum of $50,000 cash. 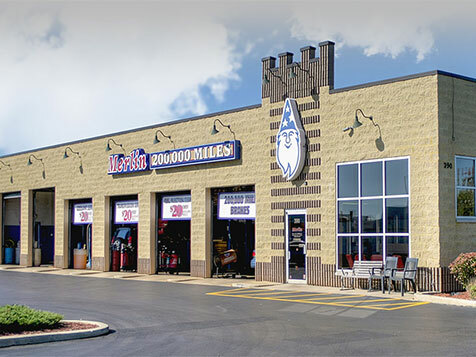 Merlin 200,000 Mile Shops is a premier automotive repair franchise who is based in suburban Chicago Illinois. Our franchisees are a close-knit family, dedicated to providing high quality service repairs at a fair price. Our goal is to keep cars on the road over 200,000 miles or more thereby providing incredible value to our customers. This unique and incredible opportunity is priced well for a new start up and the company has a long book of business within our database of loyal customers. We also have a free-standing training center with over 120 training classes available to our franchisees at no cost. Open Merlin 200,000 Mile Shops in any of these available states: CA, GA, HI, IL, IN, MD, MI, MN, NY, ND, RI, SD, VA, WA, WI. The Merlin concept focuses on long term customer relationships instead of maximizing one time sales transactions. When customers are treated fairly and advised wisely, they will return again and again for service. As well, they will become a living testimonial to Merlin by telling their friends and family about the service they received. Merlin’s warranties and programs are wrapped around the 200,000 mile concept to inform customers that Merlin Shops are ready to service their vehicle for the long haul. THE DRIVE FOR 200,000, Merlin’s proprietary maintenance program, is an easy and affordable plan that not only covers vehicles through the manufacturer’s warranty period but to 200,000 miles and beyond. Merlin’s one stop automotive service approach when combined with the 200,000 Mile Proposition affords Franchise Owners a significant edge over competing automotive service chains. Merlin has developed numerous comprehensive support tools that guide you through the many important aspects of your business operation. Multi-volume Merlin Operations Manuals, A Shop PLAYBOOK, Marketing Manual , and regular visits by Merlin Field Representatives will assist and counsel you on system essentials such as sales techniques, product procurement and installation, personnel policies and procedures, as well as marketing and communication. Merlin also utilizes a third party inspection service to examine and evaluate customer service, facility appearance, and operation system implementation which ensures a greater consistency across the chain and delivering an overall better customer experience. Aside from a world-class brand and unparalleled expertise and support, one of the best things about a Merlin franchise is its price tag. You’re looking at a minimum investment level of just US $110,000! You would be hard pressed to find another franchise opportunity that gives you so much for so little. Merlin offers incredible earning potential, with the average Merlin showing annual sales of $915,000. * *Please see Item 19 of our FDD for further earning details. Merlin 200,000 Mile Shops is currently accepting inquiries in CA, GA, HI, IL, IN, MD, MI, MN, NY, ND, RI, SD, VA, WA and WI only. As a VetFran participant, Merlin Muffler & Brake offers a $10,000 discount off the franchise fee to honorably discharged U.S. Veterans. Find out if Merlin is right for you!